The Risks of Biometric Authentication | CNBC Debate 26 Jan 2019.
and I wasn't my careful self.. my apologies to those I might have offended. Its dubbed in spanish. There were followup news articles in Latin America, I think, but I can't find them. Being Human: communication An on-stage conversation/dialog with ReepsOne at the World Economic Forum, Tianjin, China, October 2018. On the voice of Anthony Hopkins in the movie Magic (1978) by Alex Best, Ace Ventriloquist, amongst other good things! Prime Minister Narendra Modi's speech at the World Economic Forum No, I am not in this one, but this was my true career high.. I sat there mesmerized by his absolutely scholarly Hindi diction, and the wisdom of such beautifully formed words. And I wondered how my career had culminated in bringing me into the same room as this great man who had surmounted tremendous odds in life. 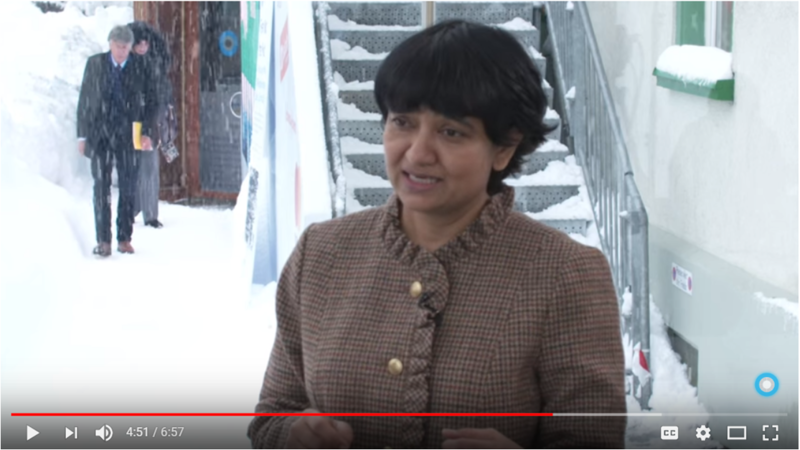 Hub Culture Davos with Edie Lush World Economic forum, Davos, Switzerland, 22 Jan. 2018. Edie brushed off the snow from my hair before we began filming. I had used a copy of Wall Street Journal to protect my head, forgot to bring a snow cap to Davos. WSJ is a very useful publication. Meg and everyone else here made me feel so much at home. 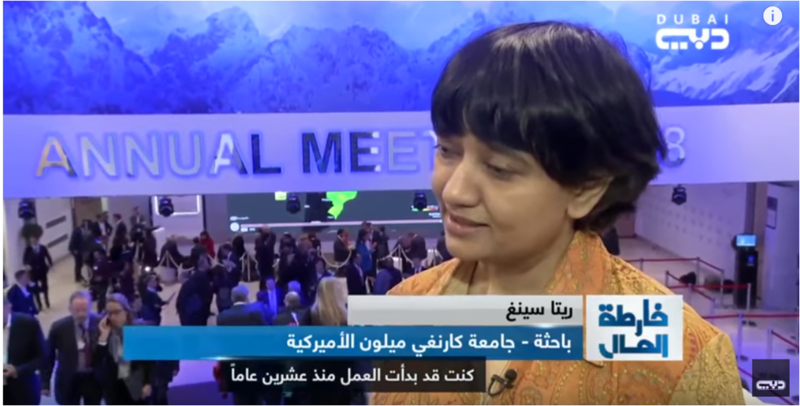 On Dubai TV with Zeina At the World Economic Forum, Jan. 2018. Next time I'm going to answer in Arabic. Career high: Not made it yet. If I could make it here, that would be it. ... Scientist identifies aliens through voice! Please note: Lately, there have been many news articles alluding to my work with statements such as "From something as simple as the sound of your breath.........can pull information about what you look like and the room from where you are calling". This is absolutely not true. Breath can identify people, but deriving infomation about the environment is not possible (from breath alone) at the moment. Many news reports out there are not endorsed by me. I am writing up papers on what can or cannot be done with voice. At least I have been intending to since over an year. Not succeeded in finding the mental isolation to do this yet. Not for a single day.